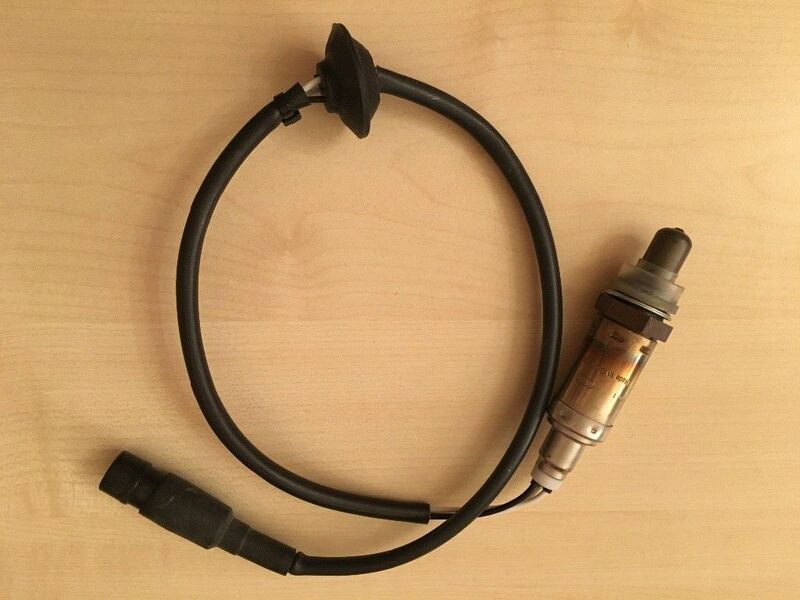 Can anyone give me the pinout for the 3 wire connector at the O2 sensor? I am repairing the harness and getting ready to hook up a sensor but I don't want to make a mistake. Thought I would share this with you, sharksters; well.. with those with little experience like me. On a 1985-S, there is no way to remove an O2 sensor, other than by dismantling the exhaust section, at the first Y (6-13 mm bolts). 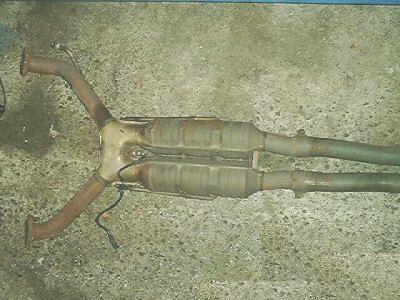 Suggest that you support the catalyst, so as to prevent overstressing the back portion of the exhaust. Don't forget to dismantle the CO pipe at a connection in front of the catalyst; the top nut is free, the bottom one is fixed. For the sensor, no need for a 22 mm open ratchet head (which costs 35$CAN, since the insulation plates around the catalyst interferes . An open ended hex wrench is sufficient. Oui Monsieur, change the exhaust gaskets! 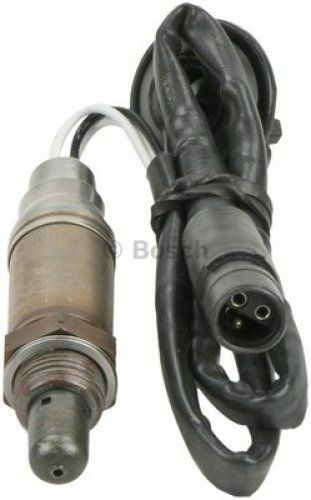 The O2 sensor has 2 connectors in the fuse panel foot well. It may actually be stuffed behind the fuse and relay panel. 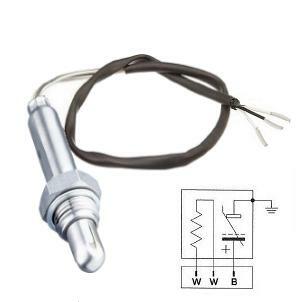 The signal connector is about as round as your thumb and the heater wires is a 2 wire flat connector. guess your answer was mostly already there ... just reading the rest of the post. The connectors at my 928s4 are just in front of the relay panel. The panel is wood, and a few wires are located from the center of the car towards the LH computer. 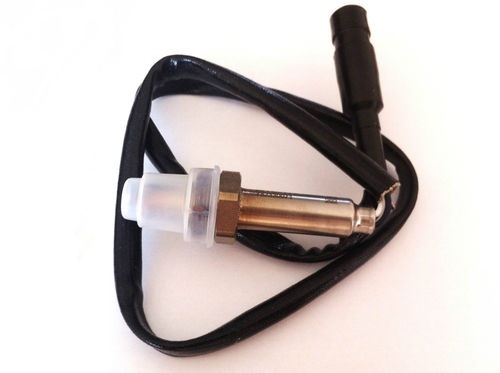 The O2 wire is different from all others, and can easily be spotted. It is round and thicker. The wire itself is kind a coax type if I remember correctly. and... from the connector onwards it goes to the pin 8 of the LH control unit (the computer). The other wire is the power (12v) that goes to the relay panel at pin W13. The thick conductor is a shielded cable so as to prevent/minimize stray induced currents in the O2 readings being sent back to the LH unit. Ensure that the cabling is not disturbed. Go into the passenger footwell and remove the bottom portion of the foot panel, 2 nuts attach it (the top is hinged and should swing up). There should be a thick black wire that can be pulled apart at the connection. Disconnect and pull it out the rubber grommet from underneath. 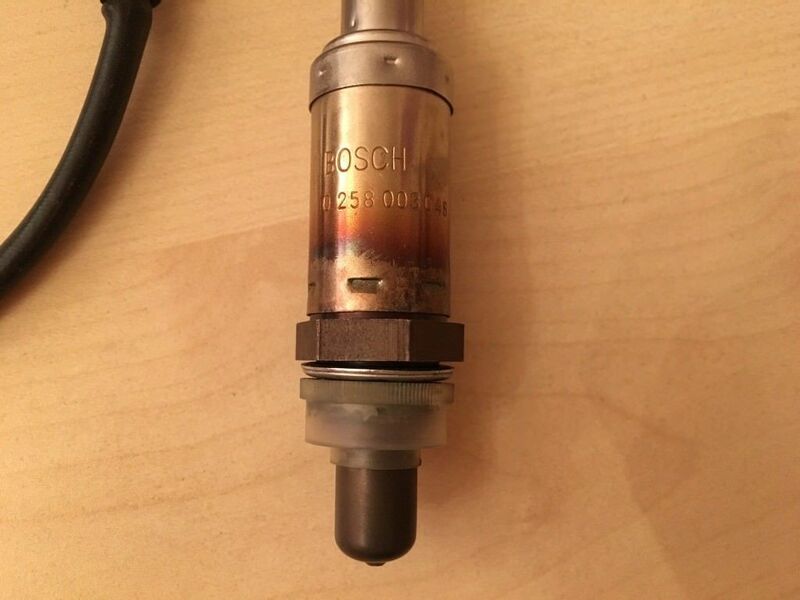 hello, I'm about to change my O2 sensor and found universals pretty cheap, anybody use these before, and are they as good as Bosch ? The universals we sell are Bosch. The only difference is that they do not come with the Porsche connector on them so you would need to transfer yours over.